DIY Duckworth: AOBA Volunteers Make it Happen! 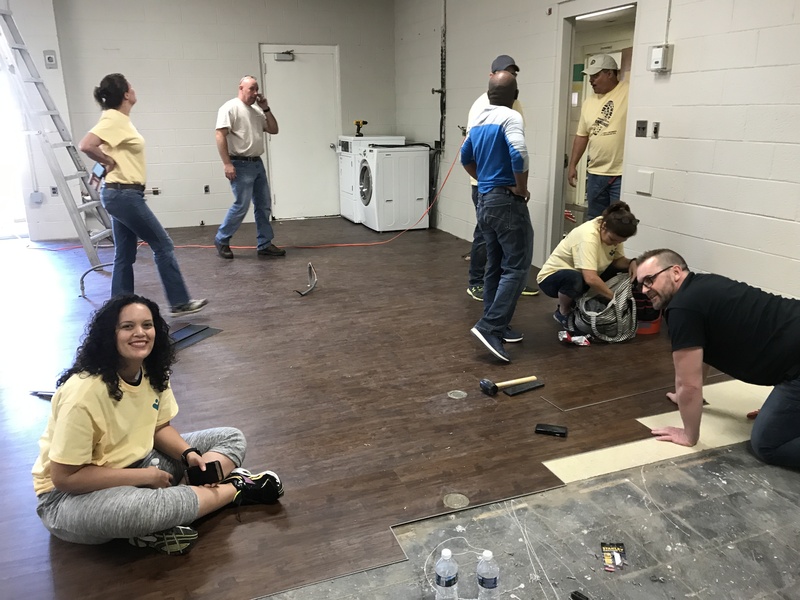 More than 70 members volunteered for a first-ever “DIY Duckworth,” a construction project on Oct. 19 -20 that followed discussions with leaders about the needs of the James E. Duckworth School for children with disabilities in Prince George’s County. 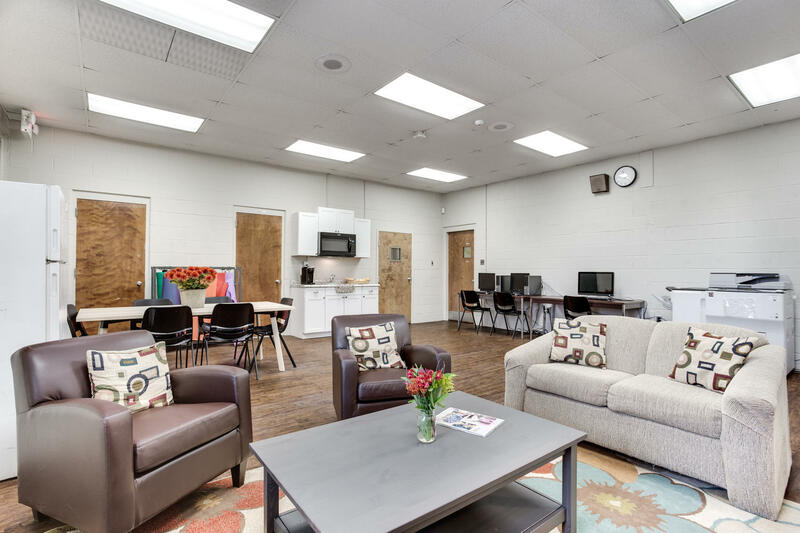 Volunteers renovated the Faculty Lounge AND demolished and rebuilt the school’s Independent Living Apartment. A followup day on November 3 helped complete the impressive project. This two-day volunteer effort was a MAJOR undertaking, made possible by a $5,000 donation from Daycon Products Company; and in-kind donations from Raine & Son LLC Plumbing & Heating; CertaPro Painters of Rockville; Toepfer Construction Company, Hawkins Electric, Gali Service Industries, LSR Refinishing, AFR Furniture Rental, Scheffries Laundry, SP+ and Ferguson Enterprises. 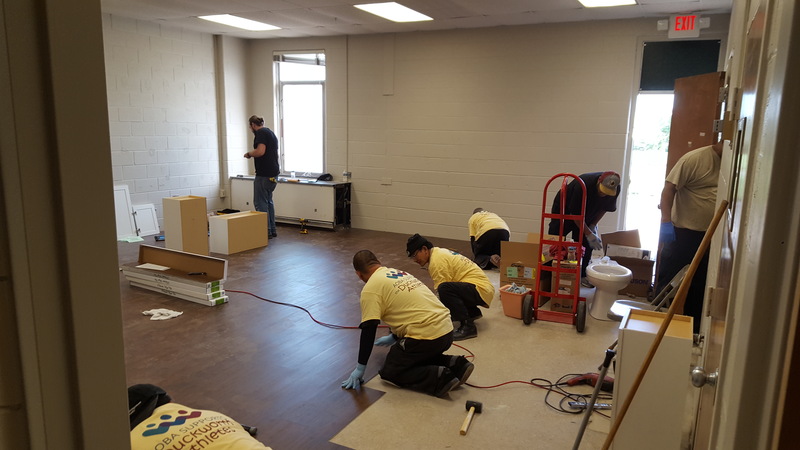 Special thanks to Mike Aird of CSI International who oversaw the entire project, and sincere thanks to Ross Management, DARO Realty and Southern Management for their construction expertise.